Not only are the coastal villages suffering from depleted fishing stocks, their sand is also being mined for construction elsewhere in the country. 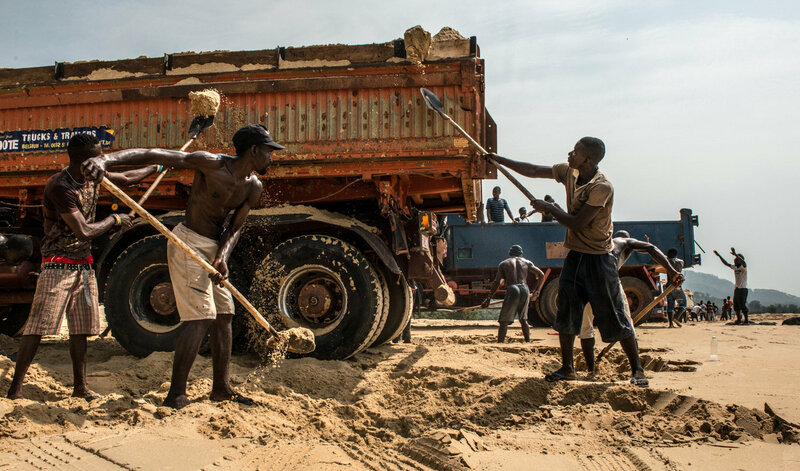 The sand is unsuitable for construction, yet the miners return night and day to fill their trucks. Sierra Leone's youth unemployment rate is 60%. Although most villagers are aware that sand mining is having a detrimental impact on the village, quick money is too tempting to pass up.